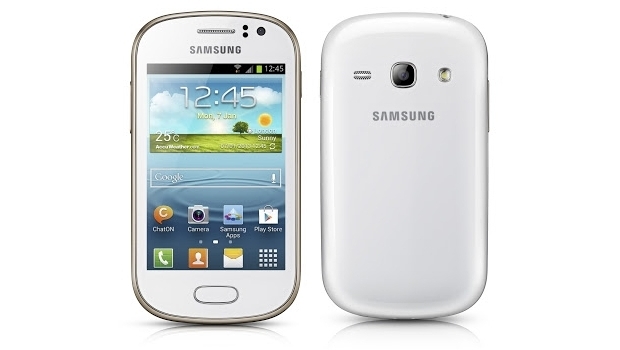 Samsung's budget Galaxy Young set to land in the UK this weekend! A year ago Samsung released their first Galaxy Y, it was a budget handset which was aimed at children just entering their teenage years who wanted something which could play Angry Birds and which wasn't going to break the piggy bank if it was dropped and thrown about a bit. That device did a relatively good job and so Samsung are back with an updated version, which is this time called the Samsung Galaxy Young! It's a 3.3-inch smartphone which will be landing in the UK as early as this weekend! This time the screen gets a resolution bump from last years 320 x 240p screen to something which is a bit more acceptable and so there will be 480 x 320 pixels this time around. On that screen you'll be able to get to grips with Samsung's Touchwizzed version of Android 4.1 Jelly Bean, which will be kept ticking over by a 1GHz processor. Samsung chose not to declare how many cores it has so it's fair to assume it has one and that's paired with 768MB of RAM, which to be honest isn't too shabby at all! This time too Samsung realised how crippling the internal storage was on the last model and this time it has been increased by a couple of powers and there's 4GB this time, which still isn't the biggest allowance, but for this sort of phone it should be great. Not to worry though as there's an SD Card slot which supports cards up to 64GB! The camera won't be filling up much of that storage though, with the 3MP sensor only giving you pictures with maximum resolutions of 640 x 480, which is actually pretty dire. On the plus side though this phone won't run out of juice during a normal day's usage with the 1,300mAh battery probably good enough to push two days of normal usage. At the moment there's no word on price, but it will be available from the Carphone Warehouse and O2 from this weekend!